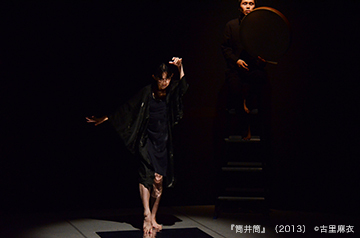 Born in Sapporo, Kino started learning the modern dance as a child. Her intent is to face her own body, by dancing solo pieces. Her work “Edge” won the Yokohama Art Foundation Prize at their Solo Duo Competition 2003. In 2004, Kino received an international fellowship from the Agency for Cultural Affairs; and in 2005, she joined the Russell Maliphant Company as a dancer. 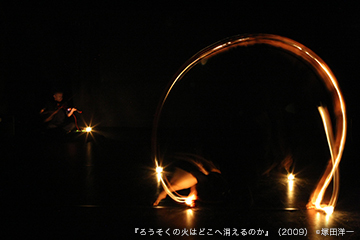 After she came back to Japan, she often uses the method of self-documentary to create dance works based on research. Her main works include: “Shizuka”, “Karatachikara” and “Mobius”. Since 2016, Kino is a lecturer of Tottori University Art Center. In 2017, she started Tottori Midsummer Improvisation Festival, where improvisation music and dance are performed in the city of Tottori.